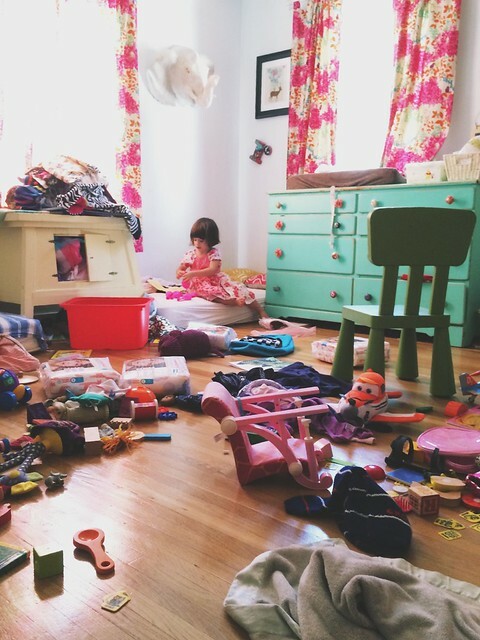 This week on Mom.me, I attempted to give advice to a parent dealing with Kids Are The Messiest Syndrome, an ailment I know well. 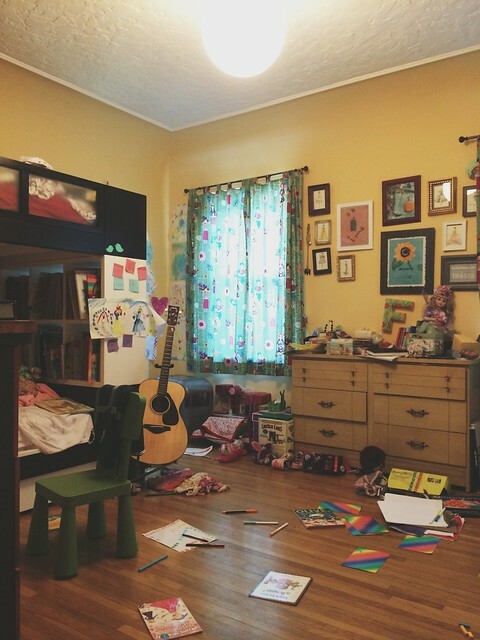 In my experience, kids like to make huge messes and then live in those messes and then watch as those messes make other messes until they are literally sleeping in a bed built out of messes and doing their homework on a pile of messes and pretty soon there’s a reality camera in their room and America is absolutely shocked that human beings can live this way and then the credits roll and we all shake our heads. 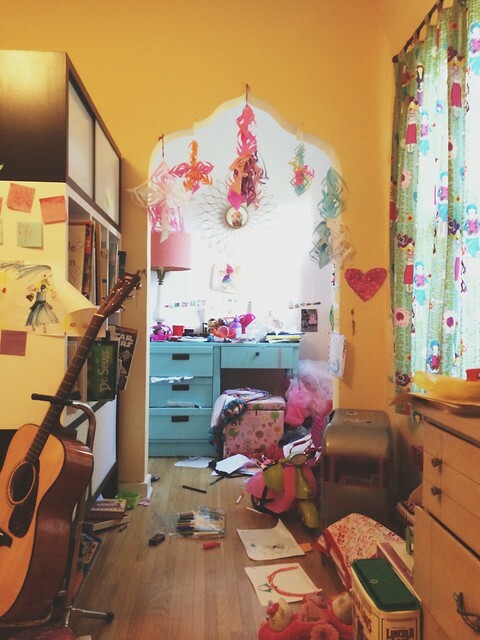 Here’s the thing: Before I had kids, I was INSANE about messes. And I still am! 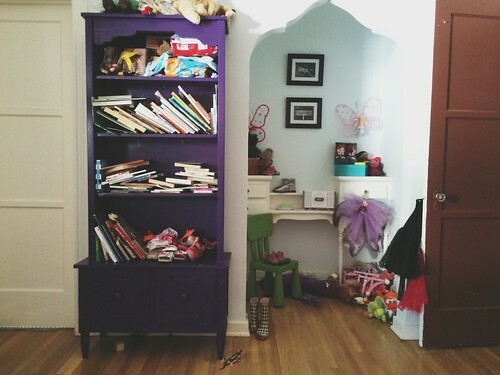 I cannot go to sleep until the living room is tidy, until clothes are put away. 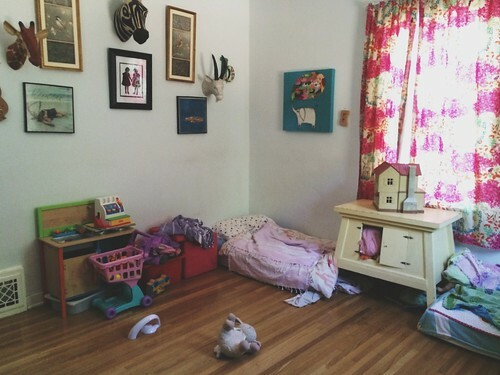 But when it comes to the kids’ rooms, I kind of gave up long ago. Ugh, that’s the worst, isn’t it? I AM THE WORST. 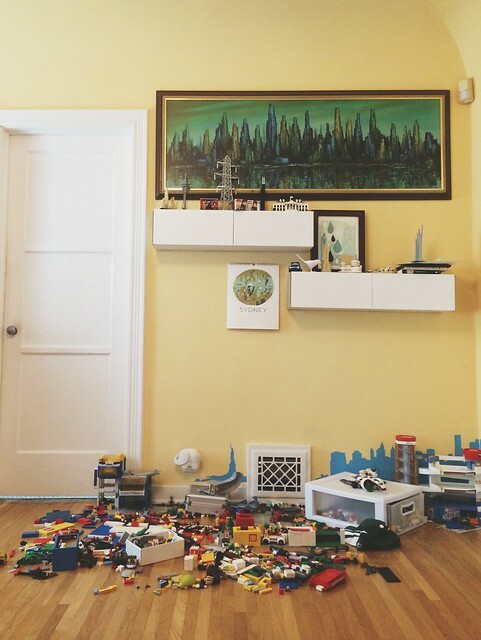 But the truth is, it was giving me far too much grief, that messy-room business, and I don’t want to fight with my kids about whether or not their LEGO city belongs in front of the bathroom door because I REALLY WANT THEM to feel like they can build an epic LEGO City and keep it standing forever if that’s what moves them. And that’s why I recently decided to give up. Because after fighting with Fable about the art supplies all over the floor, I finally opened my ears and listened to her. 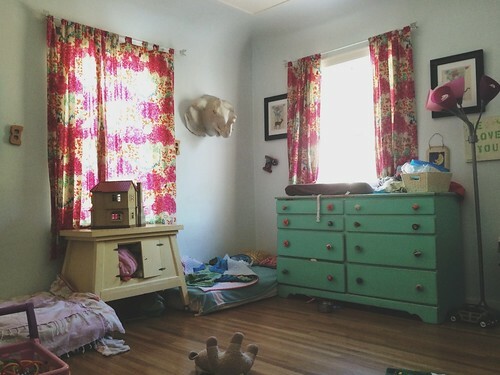 Archer and Fable's room on the other hand... ahem.